We are teaming up with ProFlowers.com to give the gift of giving during Valentine's Day with the Send ProFlowers Valentine’s Day Giveaway. We know that finding the "right gift" can be hard at times, but flowers always has the right way of sending the right message to loved ones. 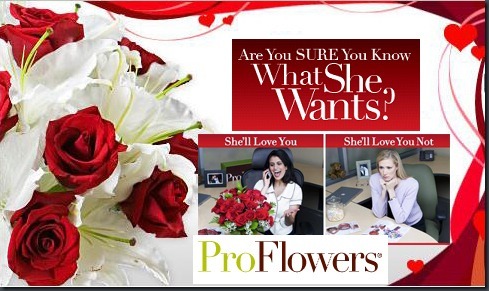 On of the best services on the web that I use frequently outside of tech is ProFlowers. This Holiday season when I asked my mother what she wanted for Christmas she said she had everything she needed, but would like some fresh flowers every so often like the ones I sent her on her birthday and Mother's Day. So I opted get her a subscription plan that would send flower and plant shipments to her every other month from a company that I have used in the past and is the company I always keep going back to because ProFlowers.com provides the usual fresh flowers delivered in a box - usually with a free vase (if there is no offer for a free one- just click on the microphone in the upper right hand corner and enter in Howard or Rich) , but also flowers that last for more than 7 days. We all know that Valentine's Day is 12 days away and starting now you will have the opportunity to enter up until 11:59 PM EST on February 8th to make sure you can order and send your gift out on time! We will then choosing several random winners for a $70 gift certificate for whatever you would like to give to a friend, loved one, or treat yourself from ProFlowers.com and send each of the winners their coupon codes so they can place their orders in time for Valentine's Day - yeah we know several of you don't make up your minds until your ride home on 14th of February. Well we got you covered this year. The flowers and gifts can only be sent to any address within the United States – so only enter the contest if the person you would like to gift is from the United States. To enter all you need to do is send us an email to failgift@bostonpocketpc.com with the Subject: Send ProFlowers Valentine’s Day Giveaway describing your worst gift to a loved one or a tech based gift that was given as a gift, but didn't go over as well as you expected and put you in the doghouse where flowers would have worked much better. ProFlowers has even done a survey that says 76% of women want flowers other than red roses on Valentine's Day so choose wisely if you do order flowers this year!!! 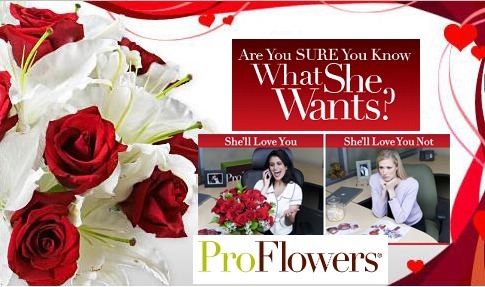 From all the eligible entrants we will choose the winners at random for a $70 gift certificate to ProFlowers.com. To be eligible for the drawing you will not only have to submit your story of 150 words or more you will also have to submit your name, valid email address, with the proper subject: Send ProFlowers Valentine’s Day Giveaway before 11:59 PM EST on February 8th.